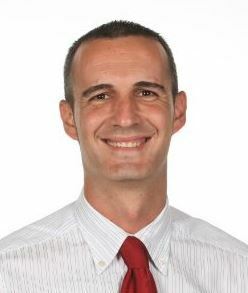 Dr Antonio Calderón is a Lecturer in the Department of Physical Education and Sport Sciences, University of Limerick. Currently, he is co-convener of the network “Research in Sport Pedagogy” of the European Educational Research Association (EERA). Antonio has been a visiting scholar at the University of Porto (Portugal), The University of Auckland (New Zealand), Auburn University (USA) and University of Rome, Foro Itálico (Italy) to teach and research on curriculum models for teaching and learning. He is the 2017 winner of the Jennifer Burke Award for Innovation in Teaching and Learning. The award recognizes and rewards innovative practice in teaching and learning, and in particular aims to reflect vibrancy, creativity, energy and passion for learning. The awarded innovation was focused on preparing pre-service teachers for the inclusive classroom in a digital era. Antonio’s current research focus aims to explore the effect of digital technology to offer an assessment of ‘quality’ and inclusive pedagogy to ensure a powerful and meaningful learning experience in teacher education. He also has an active collaboration with the National Council for Curriculum and Assessment in Ireland (statutory body of the Department of Education and Skills) supporting teachers to develop an effective integration of digital technology in teaching and learning.